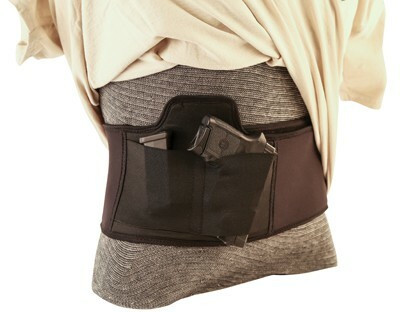 Carry comfortably with the Caldwell Tac Ops Belly Band Holster. 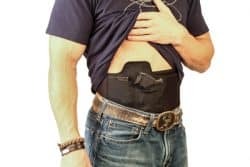 With high quality, moisture-wicking material this holster is perfect for every day carry, even in warmer weather. The slide protection tab keeps firearms away from the skin to prevent pinching or rubbing while in use. Dont carry? Travel? Use this holster to store your cell phone, flashlight, etc. This tactical handgun holster is also machine washable, making cleaning a breeze.